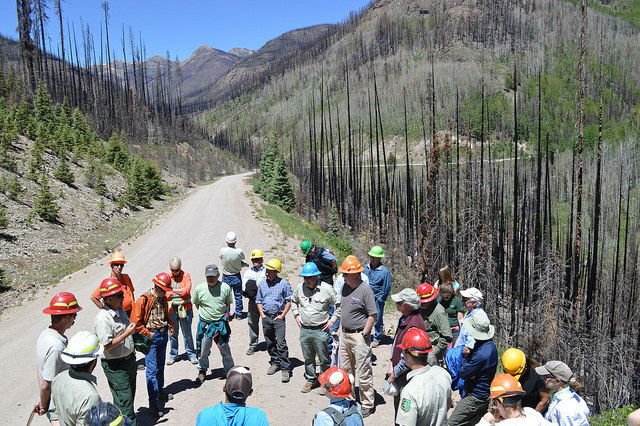 The group was established initially to provide a venue to share stakeholder perspectives and to develop science-based collaborative priorities for management and monitoring of mixed-conifer forests on the Pagosa Ranger District (PRD) of the San Juan National Forest in Southwestern Colorado. The groups focus has broadened to include other vegetation types and forest health issues. San Juan Headwaters has identified its current purpose as; 1) strengthening regional understanding of methods for improving forest health and watershed resilience, 2) broadening knowledge of forest conditions and needs, 3) generating viable management approaches, 4) initiating projects to address identified needs, and 5) monitor treatments to guide adaptive management practices. The Partnership members are people and groups representing business interests, conservation organizations, local and state governments, federal agencies, recreation interests, ranchers, homeowner associations and scientists, as well as many interested citizens. Thank you to the National Forest Foundation for supporting citizen science and forest health monitoring in the San Juan Mountains. Donate to the Partnership today! 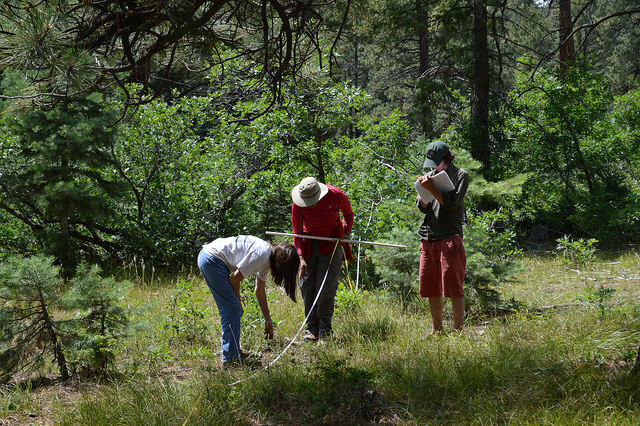 Your generous donation to the San Juan Forest Health Partnership helps us promote citizen science to transform our communities into healthier, more sustainable places to live.